Our guide to San Diego will help you find the best breweries in San Diego California. Although San Diego is the eighth largest city in the country, it's stayed true to its laidback surfer vibe mentality. If you're looking for trendy boutique hotels, an exploding culinary scene, and big-city nightlife, with a side of beach bum mixed in, you're in the right place! For families, San Diego is ideal. If world-famous destinations like the San Diego Zoo, SeaWorld, Belmont Amusement Park, and LegoLand (in nearby Carlsbad) aren't enough, families can take advantage of an abundance of museums, a children's theater, a puppet theater, and all sorts of other, lesser-known but no less entertaining attractions. With this much to offer, it's no surprise that tourism plays a major role in San Diego's economy. Other big contributors include biotechnology, agriculture, manufacturing, and defense-related industries. The US Marines and the US Navy maintain several bases in the county. There are tons of great breweries in the city of San Diego, our city guide will help you find the best breweries. You may have a hard time deciding what to do in San Diego, but we make your decision easy. There's nothing more quintessentially San Diegan than sitting at a local bar, drinking a local brew from one of the great San Diego Microbreweries. San Diego produces various types of beer, including dark ale, pale ale, red ale, wheat beer, and lager. No matter what strength, aroma, mouthfeel, and flavor you crave'Microbreweries in San Diego brew a beer for everyone. San Diego Microbreweries give hops to the local bar scene. Most San Diego bars now carry beers made by Microbreweries in San Diego. Microbreweries also welcome San Diegans inside for featured brewery entertainment events and seasonal beer tasting festivals. 10155 Rancho Carmel Rd, (858) 592-7883 - Sports bar, restaurant, and brewpub serving pizza and pastas, with locations throughout San Diego County. 2245 Fenton Pkwy, (619) 640-1072 - Sports bar, restaurant, and brewpub serving pizza and pastas, with locations throughout San Diego County. 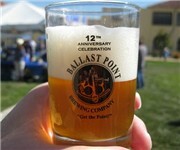 5401 Linda Vis Rd, (619) 298-2337 - Bellast Point Brewing Co is a brewpub located in San Diego CA. 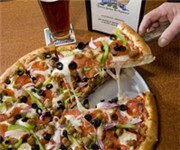 9675 Scranton Rd, (858) 587-2739 - Karl Strauss Brewing Company is a brewpub located in San Diego CA. 10054 Mesa Rdg Ct, (858) 480-9381 - Nano Brewery in Mira Mesa with a cool tasting room to try the unusual beers. 10306 San Diego Mission Rd, (858) 605-1416 - Firehouse Brewing Co. is a brewery located in San Diego CA. 9368 Cabot Dr, (858) 549-9888 - Inspired by the classic beer styles of Britain and Belgium, AleSmith is a growing artisan brewery in San Diego. There are plenty more breweries in San Diego. See all breweries in San Diego California.